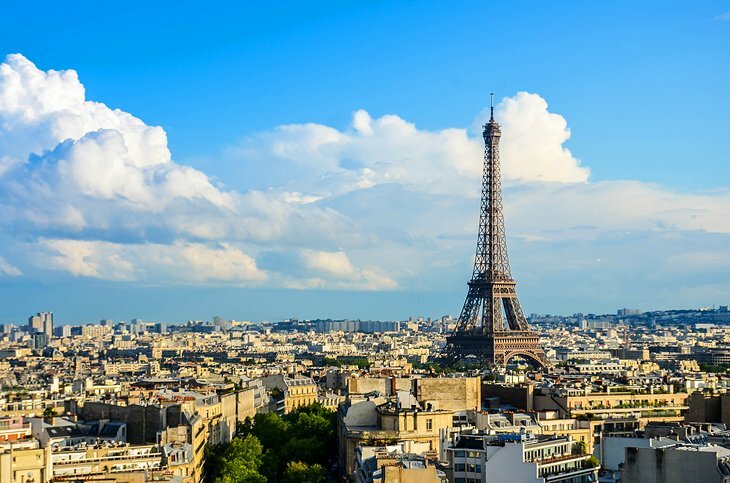 This city was founded way back in 259 BC by Celtic tribe named Parisii, from where this name originated. From the 11th century, this city became more prosperous and wealthy from trade in silver and strategic location for pilgrims and tourists. In the 18th century, this city was the center of the French revolution. On 14th July 1789, the state prison of Bastille was stormed, the Governor was killed, and French monarch came to an end. Paris is the epicenter of culture, architect, and food. This city of light has an enormous cultural richness not only for its history but also for tremendous heritage and tradition. The golden period started from glorious thirties (1945-1974) which transformed the city with an economic boom. This is a city of wonder, joy, romance, and culture mingled with mouth-watering food and wine. This city boast of some monumental architectural wonders be it Eiffel tower, tower of Notre –Dame or lesser known Sainte chapels. Before you visit Eiffel tower pre-book your tickets for the elevator else take 1665 steps from the esplanade to the top of the tower. It is a fascinating city with world-class museums, historical monuments and with some world-renowned painting and sculpture. It is also a city with cobblestone streets with roadside restaurants where you can get some finest of cheese and wine. It is a mixture of cosmopolitan and tradition, mammoth and miniature. When you are in Paris for a vacation and an ardent art lover then the museums will take all your time. The Louvre, the city within the city, is the lar5gest and most visited museum of the world. It itself is a masterpiece with a puzzling network of galleries, staircase, passageways, and escalators.35,000 arts and art crafts are displayed divided into eight departments housed in three wings. Mona Lisa may be the most renowned painting will be starting at you when you visit this marvelous awe-inspiring museum.18,000 bits of metal which make Eiffel tower is astonishing.It was built as a temporary structure for World fair 1889 by Gustave Eiffel. This 984ft long tower stands on four pedestals which were the tallest structure till 1930. The night light with 2000 flashbulbs has a mesmerizing effect and the whole city`s skyline change. The world-famous wine of France is wickedly delicious. Sip; swill the finest wine with French cuisine. Once you visit this city, it will be a lifelong love affair.